After making several bullpen moves and addressing their catching situation, the Rockies have had a quiet run-up to camp. It has long been wondered, though, whether the organization might yet add another player, particularly given the ongoing lack of clarity at first base. Patrick Saunders of the Denver Post reports on the state of affairs as camp opens. Ian Desmond says he has been left with the impression he’s “mostly” going to be utilized in left field, seemingly leaving youngster Ryan McMahon with the inside track to commanding regular time at first. But the market still includes quite a few other possibilities, so it certainly seems premature to count the club out from another move. Saunders notes that the Rox have not had recent discussions with Mark Reynolds, it’s worth noting. Perhaps it is also still possible to imagine the addition of an outfielder, with Desmond then being asked to slide back to first, though it’s all still guesswork at this point. With so much trade chatter surrounding the Giants over the winter, several players now in camp with the organization saw their names circulated in rumors over the winter. Henry Schulman of the San Francisco Chronicle discusses the winter of uncertainty with second baseman Joe Panik and a few other players. As for Panik, a phone call from GM Bobby Evans in the midst of the Giancarlo Stanton saga helped put his mind to ease, though he also notes that he and his wife would have been devastated to leave San Francisco and the Giants organization. Mariners prospect Kyle Lewis recently underwent an unexpected second knee surgery, as Ryan Divish of the Seattle Times reports. The hope is that the 22-year-old, who was taken 11th in the 2016 draft, will be ready to begin preparing for the season in earnest before the end of April. GM Jerry Dipoto emphasized that this particular surgery is only a clean-up, expressed some hope that it’ll be “the final step to getting him healthy,” and credited Lewis for his hard work. Of course, it’s also the latest in a long line of problems with the joint, as Divish documents in a post that’s essential reading for fans of the Seattle organization. MLB.com’s Mark Feinsand writes that the Mariners could be considering a run at Sonny Gray. Though intradivision trades are rare, GM Jerry Dipoto has already made multiple trades within the division (including the Danny Valencia trade with Gray’s Athletics), Feinsand observes. (Additionally, A’s president Billy Beane has also dealt with division rivals more frequently than most presidents/GMs). One obstacle, of course, would be the Mariners’ farm system. Seattle has already dealt Tyler O’Neill to the Cardinals for Marco Gonzales, and the M’s acquired David Phelps for a four-prospect package headlined by well-regarded young outfielder Brayan Hernandez as well. Feinsand notes that Gray would very likely require the Mariners to part with top prospect Kyle Lewis, though there’d need to be additional prospects in any package, and it’s not clear if Seattle could cobble together a bid that would top the rest of the field. The Tigers are “aggressively shopping” Justin Verlander, Feinsand hears, but Detroit also “doesn’t appear willing to eat much” of Verlander’s remaining contract to facilitate a deal. Feinsand spoke to one American League GM that termed most of the talks regarding Verlander as “idle conversation,” though that GM also predicted that the former Cy Young winner will be moved by next Monday’s deadline. The Dodgers were interested in Rangers ace Yu Darvish even before Clayton Kershaw’s back injury, writes Jon Morosi of MLB.com. The timetable for Kershaw’s return, once determined, will further impact their level of interest in Darvish and other arms on the market. Morosi hears that among Dodgers’ top prospects, the team is most attached to right-hander Walker Buehler, who has already ascended to Triple-A and could conceivably help the club in 2017. Texas, meanwhile, would likely target two of the Dodgers’ top four prospects (Buehler, Yadier Alvarez, Alex Verdugo and Willie Calhoun), per Morosi, which is a steep but largely unsurprising ask with the Rangers seemingly on the fence about whether to move Darvish at all. The Marlins are missing an important opportunity to try to convince a team to overpay for right-hander Dan Straily, opines Joel Sherman of the New York Post. Teams like the Cubs, Twins, Brewers and Mariners are all on the hunt for controllable arms, and Straily is controlled through 2020 with very solid numbers dating back to Opening Day 2016. The paucity of quality arms available could allow the Fish to accelerate their rebuild by cashing in on Straily, but the Marlins are instead shopping only their relievers and “perhaps Dee Gordon,” according to Sherman. From that same piece, Williams tells Buchanan that he’s more open-minded when it comes to dealing impending free agents such as Zack Cozart, Drew Storen and recently injured Scott Feldman. The knee injury that landed Feldman on the disabled list seems particularly unfortunate, as Buchanan reports that the Reds had received trade interest in Feldman prior to that issue. His timetable for a return isn’t yet known. There’s technically time for him to be activated before the deadline if it proves to be short-term in nature, though one can imagine that most interested parties would prefer to see him make a start before moving forward with a trade. Buchanan also speculates on the possibility of a Tony Cingrani trade, noting that he’s pitching well and controlled for two more seasons, while Cincinnati has quite a few younger arms it’d like to take a look at in the ’pen. The Royals are once again struggling, having dropped seven of their past 10 games, but ESPN’s Buster Olney hears that they’re not deviating from their course as deadline buyers. Kansas City has been hopeful of adding two “cost-efficient” starting pitchers and are also looking into adding a reliever. It’d take a total collapse between now and the deadline for the Royals to change course and sell off their impending free agents, Olney adds. Olney also tweets that the Mets would improve their chances of finding a trade partner for Asdrubal Cabrera by playing him at third base. Rival evaluators are hopeful of seeing him at that position before making a determination, per Olney, and it now appears likely that the Mets will accommodate them. Newsday’s Marc Carig reports that Cabrera is set to begin taking grounders at the hot corner, and manager Terry Collins confirmed as much to Carig’s colleague, David Lennon (Twitter link). The Mariners “appear willing” to trade outfield prospect Tyler O’Neill this summer, reports Bob Dutton of the Tacoma News Tribune. The 22-year-old O’Neill entered the season ranked among the game’s 50 or so best prospects on several notable lists (Baseball America, MLB.com, Baseball Prospectus) but got off to a poor start to the season in Triple-A. He’s recovered with a 1.127 OPS over his past 26 games to bring his batting line back up to a respectable .241/.326/.462, but Dutton notes that the emergence of Mitch Haniger and Ben Gamel has the M’s more open to a deal. Despite the presence of that duo, however, Seattle hasn’t shown an inclination to deal top organizational prospect Kyle Lewis. ESPN’s Jerry Crasnick writes that the Dodgers and Astros have put themselves in such strong position that neither strongly needs to make a move prior to the trade deadline. However, both Dodgers president Andrew Friedman and Astros GM Jeff Luhnow are viewed as extremely opportunistic types and figure to look at ways to upgrade their roster anyhow. Crasnick classifies the Dodgers’ interest in Orioles closer Zach Britton as “legitimate” but notes that they’re a bit cautious due to his 2017 forearm issues. Ken Rosenthal wrote yesterday that L.A. is reluctant to part with prospects Alex Verdugo and Walker Buehler in trades, and Crasnick echoes that statement while also adding righty Yadier Alvarez to the list. While the three aren’t quite “untouchable,” none of the three seems especially likely to go. As for the Astros, they’ll continue looking for a starter that could join the playoff rotation behind Dallas Keuchel and Lance McCullers, though they, too, could look instead to a late-inning lefty like Britton or Detroit’s Justin Wilson. Padres general manager A.J. Preller was on-hand to watch the Rangers’ Double-A affiliate earlier this week, writes Evan Grant of the Dallas Morning News. The Roughriders, Grant notes, were playing the Padres’ own Double-A affiliate so there’s the possibility of reading too much into the situation, but he notes that the GMs of selling clubs are more concerned with watching who they might acquire this time of year rather than evaluating their own internal talent. Per Grant, the Athletics also had one of their top minor league evaluators, Billy Owens, present at that contest. Grant notes that names like Andrew Cashner and Rich Hill have been connected to the Rangers in recent weeks, so there’s reason to believe that some homework on one of those two very available pitchers was being done. On a related note, the Padres are reportedly hoping to trade Cashner before his scheduled start tomorrow evening. ESPN’s Buster Olney tweets that rival evaluators and executives are trying to determine exactly how much the Rangers truly value Joey Gallo (Twitter link). Some within the industry, according to Olney, feel that the Rangers’ firm reluctance to part with Gallo is actually a smokescreen, and they’d be more willing to part with him than has otherwise been indicated. Yahoo’s Jeff Passan reported something similar earlier this week, writing that some rival executives do think the Rangers would move Gallo for the right offer. Many Rangers fans questioned why Gallo wasn’t promoted today with news of Prince Fielder’s potentially season-ending injury breaking, but as MLB.com’s T.R. Sullivan writes, the likely reason for that is that the Rangers are planning to give the lion’s share of Fielder’s at-bats to another ballyhooed young player: Jurickson Profar. Astros top prospect — and the No. 1 prospect in all of baseball, per ESPN’s Keith Law — Alex Bregman played left field for the first time with Triple-A Fresno tonight, writes Jake Kaplan of the Houston Chronicle. As Kaplan notes, increased defensive versatility will make it easier to keep Bregman in the lineup once he joins the big league club — especially with Yulieski Gurriel not far behind him. Kaplan says that while the Astros aren’t publicly tipping their hand as to when Bregman will be promoted, it could happen as soon as Friday for the club’s weekend series against the Angels. Jon Paul Morosi of FOX and MLB.com hears similarly, tweeting that Bregman could be playing left field in the Majors by next week. The Mariners received a devastating bit of news today, as the club’s first-round pick, Kyle Lewis, suffered a torn ACL as well as medial and lateral meniscus tears in his right knee in a collision at home plate. The former Mercer outfielder was said by some to be the top talent in the 2016 draft but slid to Seattle with the No. 11 pick. The 6’4″, 210-pound Lewis was off to a brilliant start to his pro career, slashing .299/.385/.530 with eight doubles, five triples and three homers through 135 plate appearances with Seattle’s short-season Class-A affiliate in the Northwest League. He’ll be sidelined for the remainder of the 2016 season and hope to be back to full health in time for the opening of the 2017 season. Sticking with the Mariners, the team’s acquisition of Dan Vogelbach in today’s Mike Montgomery trade leaves Adam Lind with a virtually MLB-ready prospect waiting in the wings at Triple-A. ESPN’s Jerry Crasnick reports (on Twitter) that many executives believed that the Mariners would shop Lind, who has had a disappointing season, even before acquiring Vogelbach. The addition of the slugging first baseman/designated hitter makes it even likelier that the club will move on from Lind. Of course, Lind is having arguably the worst season of his career; he did slug a homer today (his 15th) but is still hitting just .231/.264/.449. The Mariners have signed first-round pick Kyle Lewis, whom they took 11th overall in this year’s draft. That selection comes with a $3.287MM slot value, which is what the outfielder will receive. Lewis chatted with MLBTR contributor Chuck Wasserstrom before the draft, discussing his late commitment to the game of baseball. He also explained all the work he’s done and confidence he’s gained since turning his attention away from hoops late in his high school career. MLB.com prospect gurus Jonathan Mayo and Jim Callis called Lewis the third-best player available entering the draft. That was based in large part on his “easy pop to all fields,” but the duo credited him also with a strong overall skillset to go with the power. That was largely the same assessment of the Baseball America team, which rated him fourth. ESPN.com’s Keith Law pegged Lewis as the tenth overall draft prospect, suggesting that he’s slightly more concerned than others with the 20-year-old’s need to refine his hitting mechanics — though that was a common issue raised by all of these evaluators. While Lewis is a center fielder by trade, the consensus appears to be that he’ll eventually settle in at a corner spot. A strong arm could land him in right field, per the reports. Perhaps due in part to his lack year-round baseball before heading to college, Lewis’s game speed is said to lag his raw velocity on his feet. Seattle has to be pleased with the way things broke with its first pick. The club was somewhat hamstrung last winter because it fell out of the top 10 with a win in its final game last year — meaning that it possessed the top unprotected pick in the draft for purposes of signing players who declined qualifying offers. After holding on to the choice rather than punting it to add a high-profile free agent, it was surely gratifying to see an elite name not only fall to them, but also sign in short order. Bob Dutton of the Tacoma News Tribune first reported the deal. Chris Cotillo of SB Nation had the financial details. The Nationals optioned top prospect Trea Turner back to Triple-A Syracuse on Monday as the team activated Ryan Zimmerman from the paternity list, as MLB.com’s Jamal Collier writes. Manager Dusty Baker contends that “right now there’s no room” for Turner on the big league roster when everyone is healthy, though the struggles of Danny Espinosa certainly seem to create such a spot. Collier writes that the Nats value Espinosa’s glove over a potential offensive upgrade from Turner, though I personally can’t help but wonder how much longer the team will stick with Espinosa, who is hitting just .196/.291/.346 even after homering five times in his past 10 games. While the power surge is nice, Espinosa is hitting just .182 with a .250 OBP in that 10-game stretch, so his overall offensive contributions aren’t as impressive as the power would otherwise indicate. Nats shortstops, as a collective unit, are hitting a dismal .195/.261/.337 on the season. Turner, meanwhile, is batting .312/.365/.452 at Triple-A and went 3-for-3 with a walk and a double in his brief call-up this weekend. Espinosa’s glove is solid, to be sure, but he isn’t Andrelton Simmons on defense, and the Nats rank ninth in NL in runs scored. The Phillies hosted a workout for potential No. 1 overall pick Kyle Lewis today, tweets Jim Salisbury of CSNPhilly.com. Lewis, a slugging outfielder out of Mercer University, is batting .395/.535/.731 with 20 homers, 11 doubles, two triples and more walks (66) than strikeouts (48) on the season. The 6’4″, 210-pound NCAA superstar spoke with MLBTR’s Chuck Wasserstrom back in late April as part of MLBTR’s Draft Prospect Q&A series. The Phillies have been linked to a number of names atop the draft, with Florida lefty A.J. Puk also being connected to them prominently in recent weeks. Though the Mets currently have David Wright, Lucas Duda and Travis d’Arnaud on the disabled list, the team isn’t keen on parting with prospects or significantly adding to its $135MM payroll to bring in a bat from outside the organization via trade, reports Kristie Ackert of the New York Daily News. Ackert spoke to two sources within the organization who “absolutely” expect Wright to return this season, and both said they don’t believe that Wright’s neck problem was caused by or even exacerbated by his spinal stenosis. The Mets will receive a 75 percent refund on Wright’s salary for each day he is on the disabled list beyond 60 days. Mets second baseman Neil Walker spoke with Newsday’s Marc Carig about the trade that sent him from his hometown Pirates to New York. A native of Pittsburgh, Walker admitted that while he didn’t feel angry toward the Bucs, he did feel slighted: “I thought, ’Wow, they don’t want me around here anymore.’ … But when that got through, I was like this is an unbelievable opportunity. I just want to make sure I’m prepared to come here and help this team win.” Walker, as Carig writes, was underwhelmed by the Pirates’ attempts at signing him to a long-term deal. “It’s hard to say I feel like I deserve the Andrew McCutchen treatment because Andrew is a better player than I am, you know what I mean?” he said. Walker added that he didn’t feel disrespected but rather that the two sides simply could have had “a little bit more legitimate conversation” about the matter when it was time to talk. Of course, his new environs are treating him just fine; the free-agent-to-be is hitting an outstanding .279/.348/.505 with 13 homers thus far and is well-positioned to land a significant multiyear pact on the open market this winter. We’re five days from the start of the 2016 MLB Draft, and ESPN’s Keith Law’s latest mock draft (Insider only) has the Phillies taking Florida lefty A.J. Puk with the first overall pick. He notes, however, that the Phillies still haven’t settled on anyone. The selection of another player (like Mercer outfielder Kyle Lewis, Louisville outfielder Corey Ray, or California high school outfielder Mickey Moniak, all of whom Law mentions as possibilities) could cause uncertainty elsewhere in the draft. Here’s more on what to expect this week. Phillies GM Matt Klentak himself says the Phillies are debating who to select but have whittled their list of possibilities down to “a small handful,” writes Philly.com’s Matt Breen. In addition to Puk, Lewis and Moniak, Breen also names Tennessee third baseman Nick Senzel and California high school outfielder Blake Rutherford as possibilities. Baseball America’s list of the top 500 draft prospects currently features Puk at the top, with Lewis, Moniak, Senzel and Ray at Nos. 4 through 7, respectively. Between them are Kansas high school righty Riley Pint and New Jersey high school lefty Jason Groome. In the subscriber-only scouting reports, BA praises Groome’s mid-90s fastball and biting curveball, noting that he’s at least as physically gifted as any other player available this year. MLBTR continues its Draft Prospect Q&A series in order to give our readers a look at some of the top names on the board in this year’s draft. MLBTR will be chatting with some of the draft’s most well-regarded prospects as they prepare for the 2016 draft on June 9-11; we’ve already spoken with Oklahoma’s Alec Hansen and Louisville’s Corey Ray. 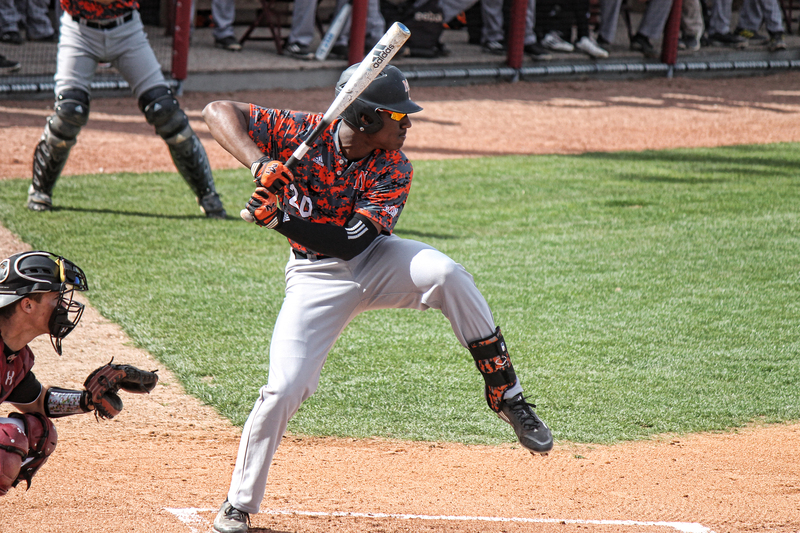 Centerfielder Kyle Lewis is doing everything he can to put himself and Mercer University on the baseball map. 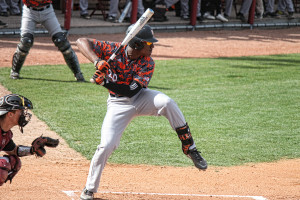 The 6’4”, 210-pound junior has scouts flocking to Macon, GA, to watch the Southern Conference star play – and was named to the Golden Spikes Midseason Watch List this week. Undrafted out of high school, the Snellville, GA, product burst onto the scene during the summer of 2014 by earning Great Lakes League Player of the Year honors. Last year, he nearly won the Southern Conference Triple Crown (batting .367 with 17 homers and 56 RBI) before putting together a stellar summer in the Cape Cod League. Chuck Wasserstrom: Let’s start out by talking about Mercer – which isn’t exactly a baseball hotbed. You have the chance to become the first 1st-round pick in school history. Is that important to you? Can you tell me a little bit about your baseball background? You went undrafted out of high school. Is it safe to say you played other sports growing up? What types of things were you doing during the summer instead of playing travel baseball? You had decisions to make in high school between pursuing paths in either basketball or baseball. How serious were you about going the basketball route in college? So now you’ve decided you were going to play baseball in college. What other schools were showing you interest? It sounds like mostly schools closer to home. Nothing wrong with that. You had your opportunity and ran with it. Your freshman year, you went through the typical first-year growing pains. Then things kind of exploded for you last year – and you never looked back. What happened? I’d have to think that sitting and watching as a freshman helped you learn the game, although I’m guessing you hated it at the time. Growing up in Georgia, were you a big Braves fan? Anybody growing up that you tried to model yourself after? Is he someone you want to be compared to? I’ve also seen you called a right-handed version of Jason Heyward. Photo courtesy of Mercer University. I know it’s hard to project, but where do you see yourself a few years down the line both position-wise and in the batting order? I want to go back to your sophomore year, when things started clicking. What changed for you, other than now having some experience? Then you went to Cape Cod, you were now using a wood bat, and the momentum continued. Baseballs must have been looking like grapefruits to you – and nothing changed. Does that sound about right? I know the draft is a couple months away – and you’ve never been through the draft process before – but is it hard not to think about the draft? Confidence is good, isn’t it! If you are indeed a first-round draft pick, how exciting is it going to be to receive that phone call? Photo courtesy of Mercer Athletics.